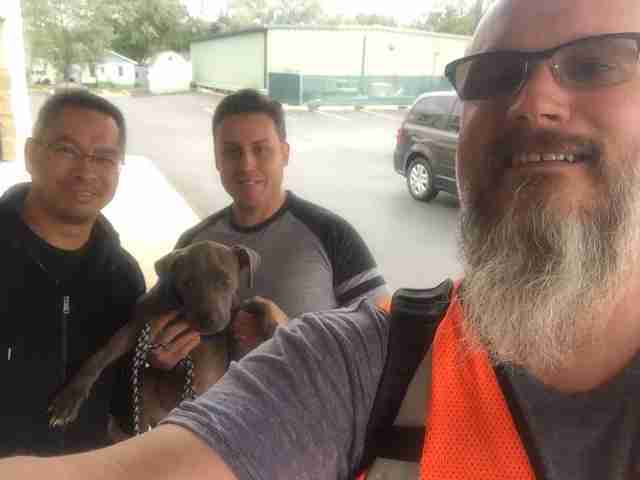 Michael Ortega and Allen Au, engineers with Burlington Northern Santa Fe Railway, were traveling between Galesburg, Illinois, and La Crosse, Wisconsin, when they received an unexpected call from their dispatcher. A Good Samaritan had called to report a dog tied to a railcar stopped in the town of Prairie du Chien, Wisconsin. Au hopped off to get a better look, and when he climbed on top of the flat car he spotted a small brown dog trembling by a post. 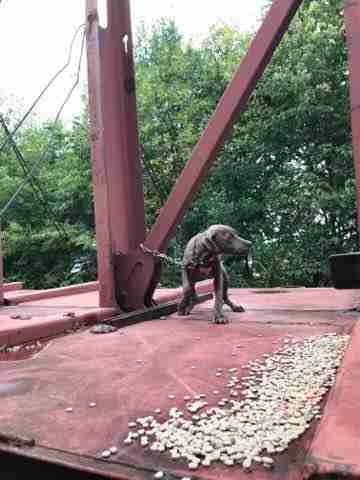 The frail puppy was secured to a steel beam by a foot-long chain, without water and with a pile of rancid kibble out of reach. Au had heard stories of things like this happening, but he had never encountered anything like it in his 13 years working on the railroad. Au called out for Ortega and carefully approached the nervous dog, and carried her back to the cabin of the waiting locomotive. 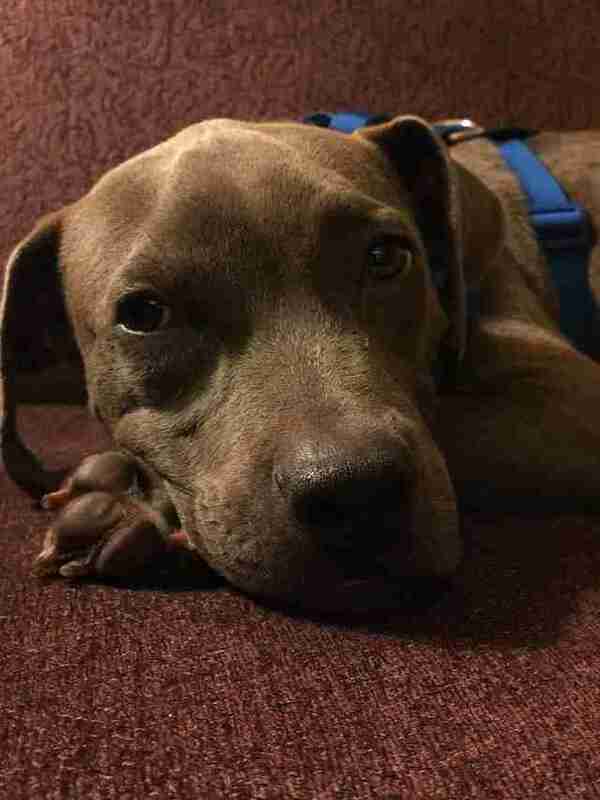 The train the puppy had been tied to originated in Willmar, Minnesota, and was going all the way to Kansas City, Missouri. Au was shocked when he realized that the dog had most likely been trapped on the train for two or three days already. 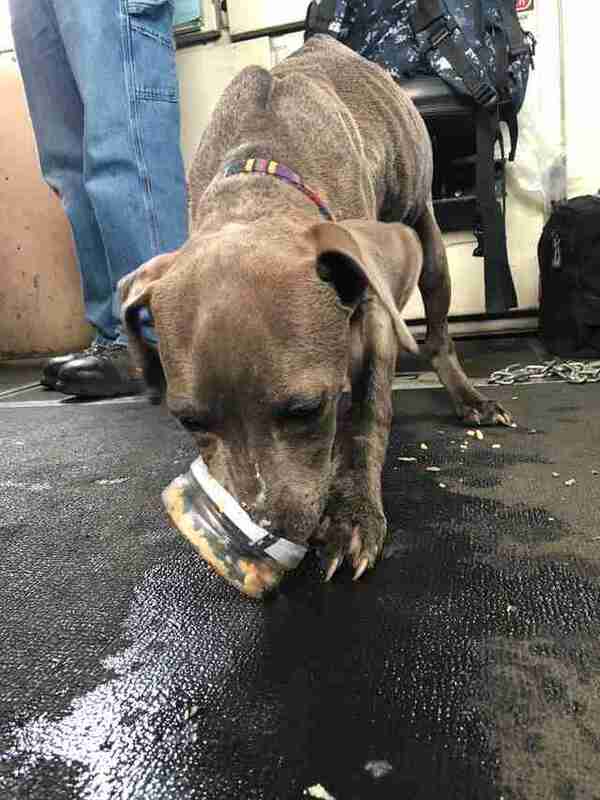 Au and Ortega named the dog Lulu, and gave her all the food they had on hand as well as some water, which she “drank like crazy,” Ortega noted. Seeing what the little dog had been through, Ortega decided right then and there that the abandoned puppy would never know another day of uncertainty, and said to his fellow engineer, “If you don’t adopt her I will.” And he meant it. "Seeing how she was when we found her — I have pets at home, and I pictured that it was one of them tied to that car — I just couldn’t understand or fathom what she’s gone through," Ortega said. 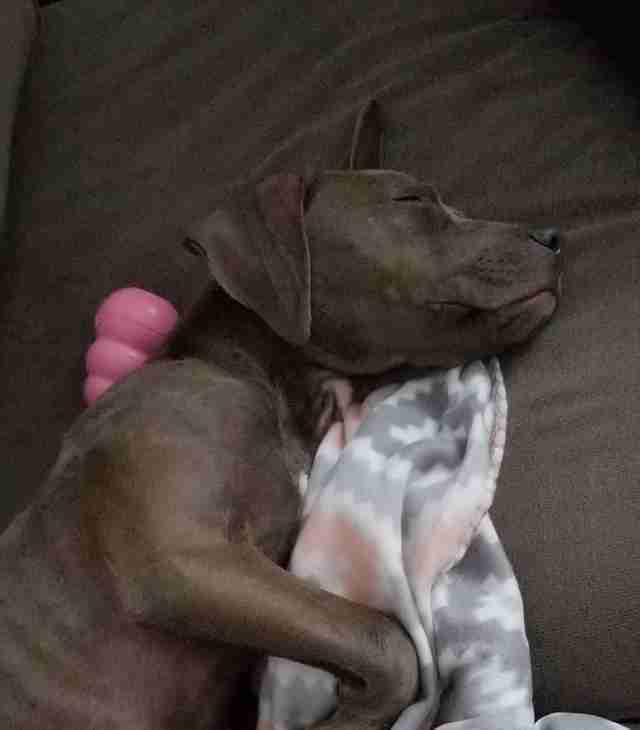 "We had the means to take her in, and she’s just the best little pup, so sweet and loving." During an overnight stopover, Ortega made a very important phone call to his wife, who agreed to meet them the next day and pick up the dog. The first night Lulu spent at her new home, Ortega and his wife couldn’t take their eyes off her. Lulu has quickly adjusted to her new life, as well as her three dog siblings, showing the first hints of a playful, happy side. While chance might have thrown Lulu onto Ortega’s tracks, the family feels like it was meant to be.